After the historic 4-1 victory against Thailand, India stood on the brink of history as a qualification for the next round looked a good possibility. However, despite a spirited performance against hosts UAE, India fell short. That left the match against Bahrain as a pivotal game in India's hopes of reaching the knockouts. While a win was the ideal situation, a draw was also enough to see India through. India was moments away from clinching a draw and securing qualification but it was in the last minute of regulation time that it all went wrong. Despite miraculously holding on for the entire match through some desperate defending, a poor tackle by Pronay Halder earned Bahrain a late penalty. Jamil Rashid made no mistake from the spot and ensured all three points for his team. The defeat pushed India to the last spot in the table and meaning a group stage exit from the competition. One cannot look beyond the coach Stephen Constantine to blame for the defeat. His negative tactics are something that has annoyed Indian fans for a long part of his entire tenure. In the first two games of the tournaments, India's strategy pleased a lot of people around. While the Blue Tigers still did not dominate the possession stats, there was an emphasis on quick counter-attacking football with short passes. It was a welcome change and something that paid rewards with a lot of goal scoring chances being created. However, in the final game, Constantine decided to go back to route one. From the first minute of the game, India's emphasis seemed to be on getting a draw. The Blue Tigers defended deep and held on. From the offensive point of view, the strategy was to play long balls with two short strikers up front which never made any sense. There was barely any service for Sunil Chhetri in the entire game. All throughout the match, India was under constant pressure as Bahrain came with wave after wave of attacks. Some heroic defending by Sanjay Jhinghan and goalkeeping by Gurpreet Singh Sandhu ensured India did not concede earlier. However, going through an entire match with such tactics requires a high amount of luck which ultimately India did not have. 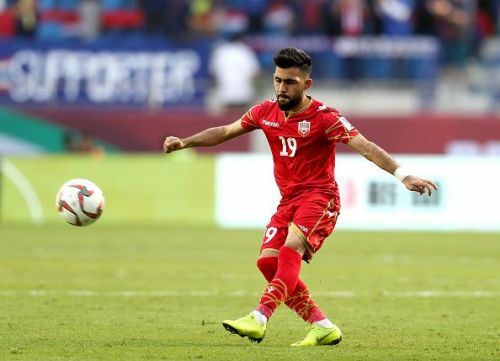 After two highly encouraging displays against Thailand and UAE, one has to ask why did Constantine have to change his tactics for what was the easiest game of the group? The game against Bahrain was India's third game in eight days and it showed in the performance levels of the players. Evidently, the team did not play with same energy and fitness levels. It was clearly a tired team and one that wasn't able to play at its highest potential. Such a tight schedule can have an effect on the best of players. Probably the biggest reason behind India's downfall was the lack of experience. it was for the first time that Indians were exposed to such a high crunch situation. The pressure of the occasion was unlike anything this group of players or any Indian team has faced before. The Burden of expectation ultimately ended up getting the better of the team as they failed to step up to the occasions. Ultimately, you only learn from such defeats. The pain of this loss will take time to heal but if the right lessons are taken, it can turn out to be a turning point for Indian football.